It's still summer which means it is hot outside, the sun stays up in the sky longer than in the dreary winter months and some people are consuming iced coffee. This delicious summer treat can come with many flavors, sugars, etc. which, in my mind, can ruin the coffee by masking caffeine with high amounts of sugar! What if I told you I have discovered a revolutionary way to enjoy your cool treat by adding 28g of protein, only 13g of sugar with little carbs and under 200 calories. That's right, you're thinking, "Ryan you are going to be a millionaire from this idea" and maybe you are right. However, until then, let me convince you into trying out this drink. Many people tend to drink Iced coffee with added creams, syrups and sugars which simply give you superfluous calories, little nutritional value but full of sugar. Iced coffee by itself contains little calories. For example, a Starbucks unsweetened grande iced coffee contains about 9 calories. However, when adding sugars and creams to make it more of a "treat" we begin to see the buildup of calories (from 80-110cal). If that is what you enjoy then congrats and make sure you walk to the coffee shop and back home! My recipe is quite simple and arguably more refreshing. Just grab your protein shaker, add one scoop of Rivalus soft serve vanilla promasil protein (~90 cals), 100ml of skim milk (~30 cals) and 200ml of cold unsweetened coffee (~9cals). Throw in two good sized ice cubes, shake and bam! 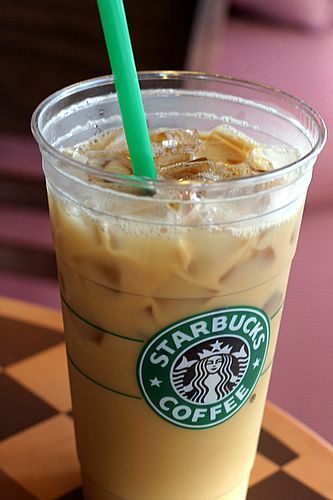 You have a caffeinated high protein, iced coffee for about 20-30 more calories than your Starbucks sugar rush. you are craving something sweet and refreshing.